A family was left furious after the funeral parlor’s hearse didn’t show up at their house to pick their father’s coffin and bring the late dad’s body to Church, in time for the mass. 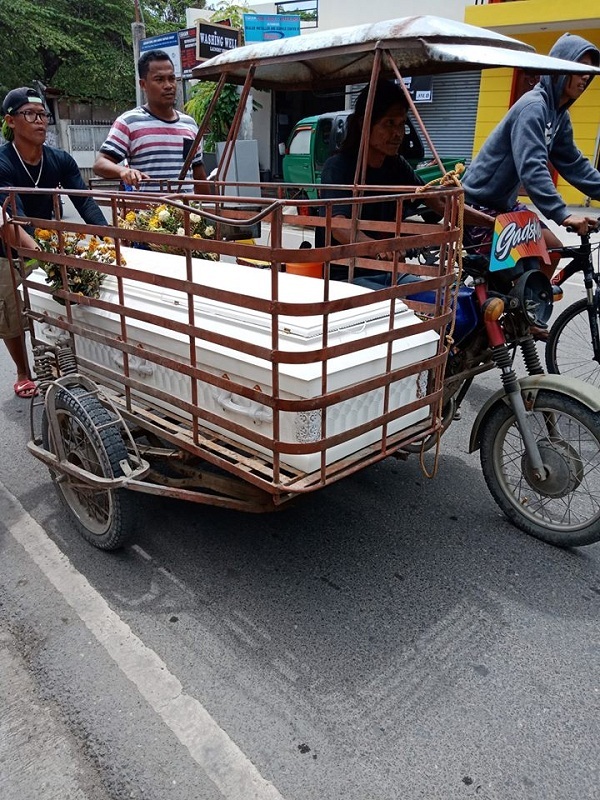 Due to the funeral parlor’s negligence, they were forced to use a ‘tora-tora’ (motorcycle with carrier sidecar) to bring the coffin to church – and this humiliated them. “Para talaga kaming nag-fun run na naghatid sa aming ama. Nahiya ako dahil para kaming naghatid ng baboy,” Liza Cabigas told ABS-CBN News. The incident happened in Barangay Dumlog, Talisay City in Cebu. Sanny Botchok Abenido, a friend of the family, shared photos of the incident. He slammed the funeral parlor for the unprofessional service which led to the coffin being brought using a ‘tora-tora’. 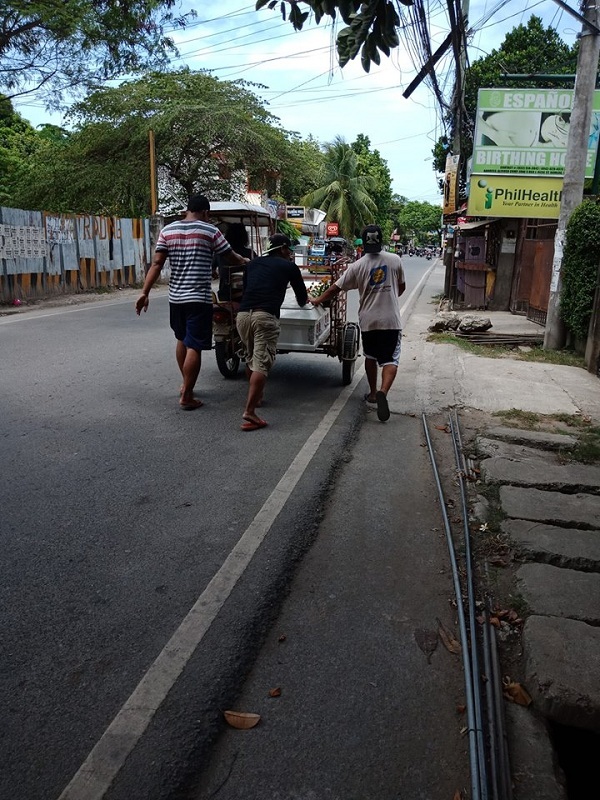 According to Abenido, they felt hurt that the funeral procession towards the church happened in this manner, all because the funeral parlor did not provide the hearse as scheduled. 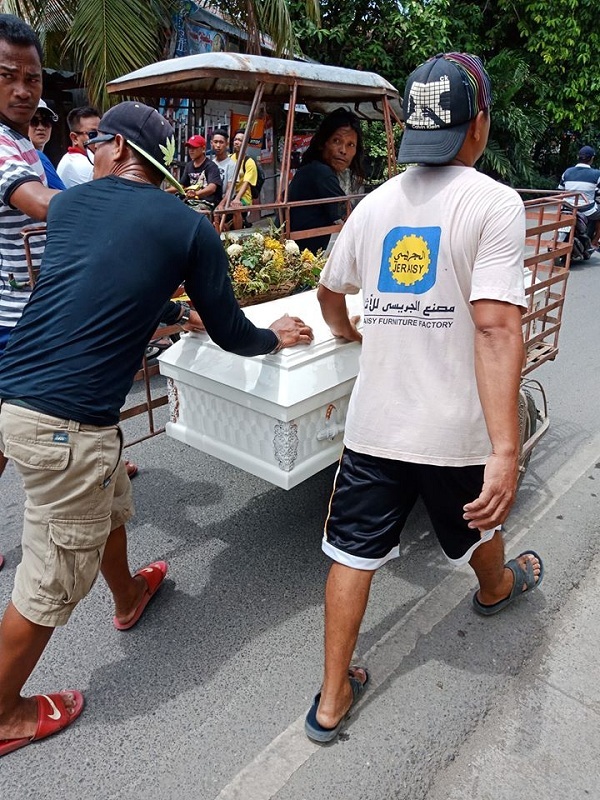 Cabigas revealed that they paid Php12,000 to rent the hearse which will be used to bring their late dad’s body to the church for the final funeral mass. She added that her dad died of cancer. But in Abenido’s post, it was revealed that the hearse did not arrive on schedule. The last prayer was finished at 11 AM but the hearse was still not there at 12 noon. The mass was supposed to be at 1 PM; thus, everyone grew frantic as the time passed. 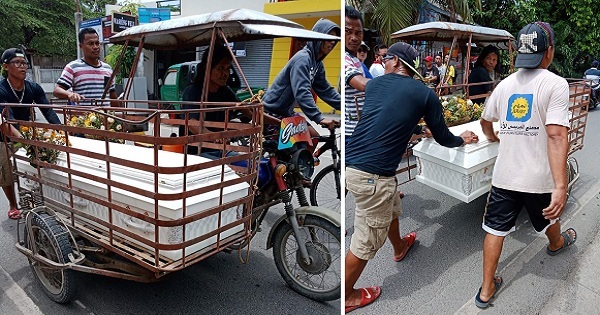 They tried calling the funeral parlor but didn’t get a positive response; thus, the coffin was transported to church using a neighbor’s ‘tora-tora’. The hearse eventually arrived in church but it was too late, the grieving family was angry over their late father’s humiliating final ride to church. The Cabigas family is demanding an apology from the funeral parlor whose name has been withheld. According to Abenido, anyone interested in asking for the funeral parlor’s name should just PM him. He slammed the funeral parlor, saying that the establishment might be cheap but its service is also bad.